Researchers and clinicians have found that plantar pressure assessment can help document the dynamic effects of hallux valgus surgery, postoperative physical therapy, and footwear or orthotic interventions, particularly in cases involving less than optimal results after surgery. Today the ill-fitting shoes are more likely to be a woman’s narrow-toed high heels,2 and in place of the footprint in ink, modern pedobarometrists are more likely using electronic plantar pressure measurements from sensor-embedded mats and in-shoe devices. One common current use by researchers and clinicians is in the assessment of people with hallux valgus (HV), the structural deformity of the first ray that is often associated with the development of a reactive soft tissue bunion. The incidence of HV is more than 35% of adults older than 65 years, and women are twice as likely as men to be diagnosed with the disorder. Footwear, especially high-heeled or improperly fitting shoes, is implicated in HV development. Researchers have used pedobarometric analysis to confirm the effectiveness of a surgical intervention for hallux valgus or to compare two different interventions. 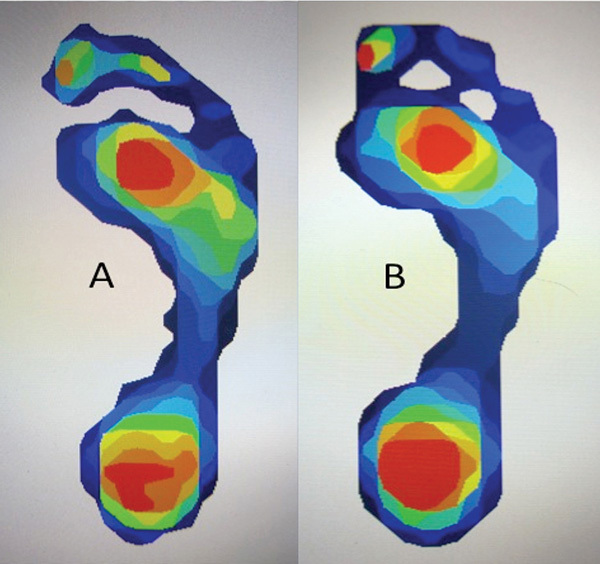 Researchers appreciate the data-gathering capabilities of modern plantar pressure measurements, but practitioners may vary in how clinically useful they consider the metrics to be for hallux valgus. King, for one, does not typically collect pressure measurements for assessment of hallux valgus prior to surgery, but views it as a valuable research tool. “While the pedographic measurement device is easy to use, the pressure measurement collection is not typically part of our preoperative protocol, primarily due to staffing and time constraints,” she said. Erin Klein, DPM, who, like Williams, is associated with the Weil Foot & Ankle Institute, collects plantar pressure data preoperatively on all patients with hallux valgus but does not make use of it unless a postoperative complication develops. 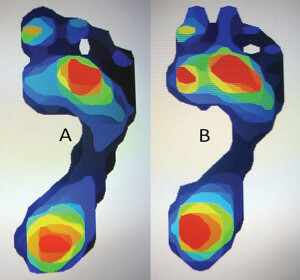 Plantar pressure assessment can be useful in patients who do not experience optimal results after surgery, Williams said, particularly in determining the effect of an orthotic or footwear intervention. “When I have tested patients who have complaints after bunion surgery, I can usually benefit them by modifying a custom foot orthotic for them that will improve their overall pressure profile and the timing of their force versus time curve,” he said. 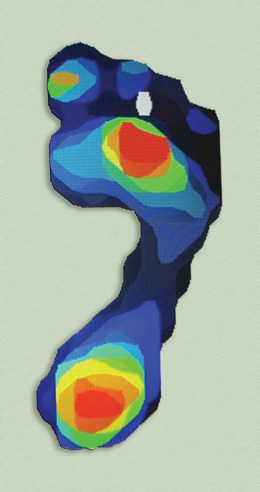 Klein, a clinical instructor of podiatric surgery at the William M. Scholl College of Podiatric Medicine in Chicago, collects mat-based plantar pressure measurements as part of her normal preoperative hallux valgus protocol, primarily with an eye toward using the data in retrospective outcomes studies. Reports of subhallux pressure in people with HV have been inconsistent, with studies variously reporting reduced loading, increased loading, or no change in pressure at that site.12-14 Some of this inconsistency may be related to the different technologies used to assess plantar pressures in different studies, Williams said. Klein said she believes plantar pressure measurements to evaluate HV might be utilized more if the literature showed a more consistent correlation between plantar pressures and dysfunction. Marian Hannan, DSc, MPH, associate professor of medicine at Harvard Medical School in Boston, said inconsistent findings may result from small sample sizes in many studies along with failure to take into consideration coexisting foot disorders, degree of HV severity, and the age of participants. “All of the studies are informative, but usually are looking at different parts of the elephant,” Hannan said. Published studies of subhallux pressure in people with hallux valgus have been inconsistent, variously reporting reduced loading, increased loading, or no change in pressure at that site. 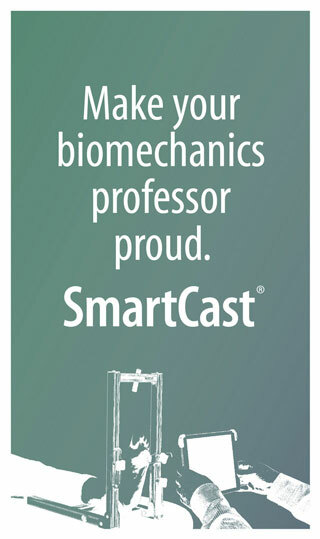 Hannan, who is also editor of Arthritis Care and Research, led a vast, population-based study of hallux valgus that was published in 2013.15 Her research group recruited 3205 participants from the Framingham Foot Study and collected biomechanical data on both feet for almost every participant. Those with HV (defined as a 15° or greater abduction of the hallux) were assigned to one of two groups, one with HV only and one with HV plus at least one additional foot disorder. A third group had no HV but at least one other foot disorder, and a reference group had no foot pathology. 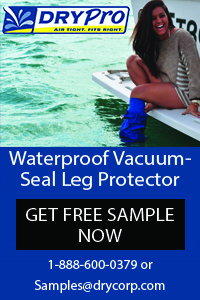 Using a pressure mat, the researchers found that, compared with the reference group, participants with HV had lower hallucal loading and higher forces at the lesser toes, and those with HV and another foot disorder also had abnormal rearfoot forces and pressures. The Framingham cohort is largely urban or suburban, white, and older. Hannan’s group is completing data collection on a similar study of HV and plantar pressure loading that involves about 2000 people in North Carolina, of whom one-third are African American. “We will be interested to see how this rural, younger, and more racially diverse group differs from the Framingham group in regard to hallux valgus. We know, for example, that African Americans typically have lower arches than Caucasians,17 so that aspect will be especially interesting to follow,” she said. Hannan hopes to secure funding to undertake a longitudinal study of both the Framingham and North Carolina cohorts. “We want to look at them over three to five years and be able to describe any functional and structural changes that may be due to hallux valgus,” she said. “Many patients start asking when they can play sports and run. 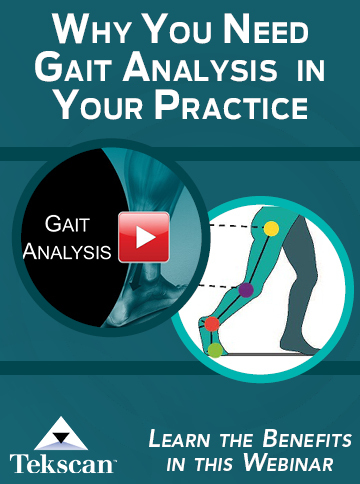 If patients don’t have sufficient motion in the big toe, their gait is altered. This can lead to changes in the pressure mapping of their feet,” Klein said. Klein sees a possible role for the use of plantar pressure monitoring in physical therapy following HV surgery, particularly in the area of gait analysis. Pedobarometric analysis may also provide a way to influence patient satisfaction. The National Institutes of Health and specialty societies are placing a greater emphasis on collection of patient-based outcome measures in addition to clinical outcomes. Gidney F. Training in Tracking. London; C. Arthur Pearson Ltd; 1927. Hennig EM. Foot measurements. In: Goonetillake RS, ed. The Science of Footwear. Boca Raton; CRC Press; 2012. Blomgren M, Turan I, Agadin M. Gait analysis in hallux valgus. J Foot Surg 1991;30(1):70-71. Nyska M, McCabe C, Linge K, et al. Plantar foot pressures during treadmill walking with high-heel and low-heel shoes. Foot Ankle Int 1996;17(11):662-666. King C, Hamilton GA, Ford LA. Effects of the Lapidus arthrodesis and chevron bunionectomy on plantar forefoot pressures. J Foot Ankle Surg 2014;53(4):415-419. Kernozek T, Roehrs T, McGarvey S. Analysis of plantar loading parameters pre- and postsurgical intervention for hallux valgus. Clin Biomech 1997;12(3):S18-S19. Kernozek TW, Sterriker SA. Chevron (Austin) distal metatarsal osteotomy for hallux valgus: comparison of pre- and postsurgical characteristics. Foot Ankle Int 2002;23(6):503-508. Wong DWC, Wu DY, Man HS, Leung AKL. The use of a syndesmosis procedure for the treatment of hallux valgus: good clinical and radiological results two years postoperatively. Bone Joint J 2014;96-B(4):502-507. Clough JG. Functional hallux limitus and lesser metatarsal overload. J Am Podiatr Med Assoc 2005;95(6):593-601. Weil L Jr, Bowen M. Scarf osteotomy for correction of hallux abducto valgus deformity. Clin Podiatr Med Surg 2014;31(2):233-246. Martinez-Nova A, Sanchez-Rodriguez R, Perez-Soriano P, et al. Plantar pressures determinants in mild hallux valgus. Gait Posture 2010;32(3):425-427. Mickle KJ, Munro BJ, Lord SR, et al. Gait, balance and plantar pressures in older people with toe deformities. Gait Posture 2011;34(3):347-351. Hurn SE, Vicenzino, B, Smith MD. Functional impairments characterizing mild, moderate, and severe hallux valgus. Arthritis Care Res 2015;67(1):80-88. Galica AM, Hagedorn TJ, Dufour AB, et al. Hallux valgus and plantar pressure loading: the Framingham foot study. J Foot Ankle Res 2013;6(1):42. Schoenhaus HD, Cohen RS. Etiology of the bunion. J Foot Surg 1992;31(1):25-29. Dunn JE, Link CL, Felson DT. Prevalence of foot and ankle conditions in a multiethnic community sample of older adults. Am J Epidemiol 2004;159(5):491-498. Schuh R, Hofstaetter SG, Adams SB Jr, et al. Rehabilitation after hallux valgus surgery: Importance of physical therapy to restore weight bearing of the first ray during the stance phase. Phys Ther 2009;89(9):934-945. Schuh R, Adams S, Hofstaetter SG, et al. Plantar loading after chevron osteotomy combined with postoperative physical therapy. Foot Ankle Int 2010;31(11):980-986.